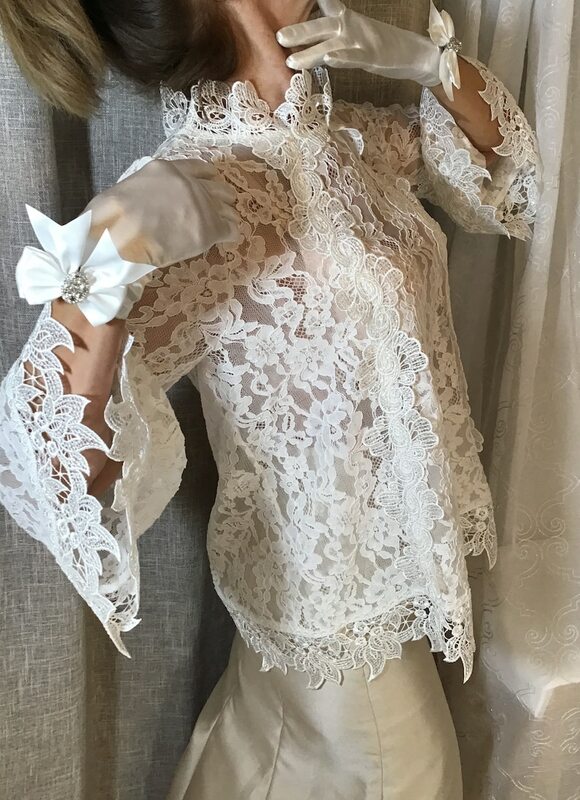 This long sleeve ivory lace blouse with faux pearl beads and clear sequined lace trim is a perfect item to match with any length skirt, pants or even jeans. Absolutely a must have. Best fits US sizes 4-6. Formal off white lace blouse. Bridal separates. 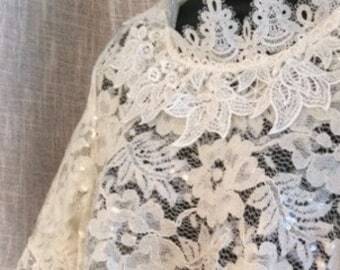 Ivory sequined lace trim. Bridal separates. Sequined short sleeves ivory lace top. Evening dress lace blouse. 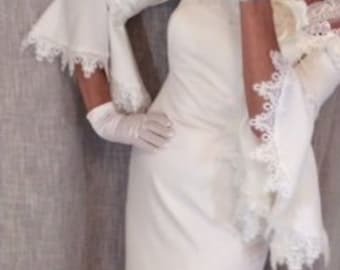 Mother of the bride, second marriage, formal attire.